A few weeks ago, we outlined foundational guidelines for on-demand apps, a genre of mobile platform well-established in the digital landscape. In this article, we’ll pivot a bit and tackle a different sector, one that’s almost never associated with quality user experience. UX guidelines for financial technology services, or fintech, are often difficult to pin down—not because of the space’s reluctance to embrace UX, but rather that the industry itself is in an almost constant state of flux. Banks, credit unions, and regulatory agencies experience rapid and sometimes volatile change as their relationships to one another are formed and reformed by the currents of technological advancement. We’ve seen the meteoric rise of advanced personal financial management services like Mint and LearnVest, pocket robo-advisors like Acorns and Betterment, and the creation of entirely new payment platforms like Venmo. Atop all of this, the relentless pace at which this technology advances has set sky-high expectations for users. Consumers have grown accustomed to seamlessly usable platforms in every aspect of our lives, and they expect the finance sector, an inherently complex institution, to follow suit. That’s left a burgeoning fintech marketplace looking outside of its Wall Street origins for guidance—and that’s where UX design agencies come in. More finance-tech companies are recognizing that their platforms need a customer-centric, personalized design strategy, but they’re not necessarily sure what that entails. And though something as concrete as UX standards are hard to come by in an ever-shifting industry like fintech, there are some definitive design touchstones that every financial service platform should include in their user experience. No matter the platform’s specific use cases, financial well-being requires regular management and supervision. The best fintech services alleviate the heavy lifting when it comes to bookkeeping, budgeting, or investing, but users still need to remain diligent about their financial upkeep. The user experience of fintech platform should be designed with mechanics that cultivate healthy financial habits, and promote continued reliance of the platform. These mechanics can be a principal feature of the platform, or manifest in more subtle, granular design touches. 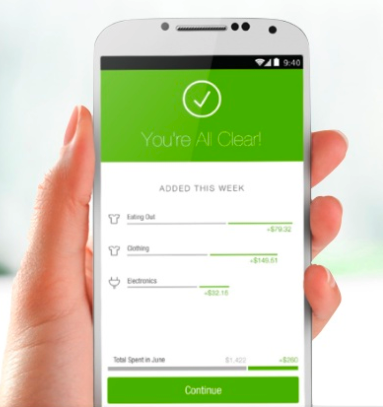 The personal finance management platform Mint excels at this. Their commitment to habit forming in their UX design is best embodied by their weekly recap feature. Every Sunday, the app notifies me via email or push notification that my weekly recap is ready for review. 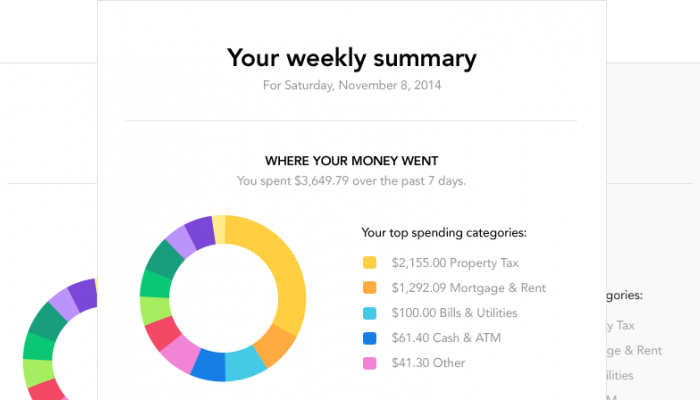 Since I’ve started using Mint, Sunday has become the day where I review my budget. More discreet habit-forming techniques can be as simple as positive reinforcement. When the user accomplishes tasks, reaches financial milestones, or even completes basic actions within the platform, reward the user to reinforce the action they took. The financial industry is notoriously convoluted, and the average user is unlikely to be well-versed in key money management principles. It’s imperative that user-centric fintech platforms are able to translate complex financial data into meaningful or actionable information. A platform may be able to calculate any personalized financial metric a user could possibly want—but if it doesn’t explain the significance of the numbers it’s posting, or the meaning behind the financial data, it’s useless. The best way to accomplish this is through well-designed visualization—parsing financial data into easy-to-read, comprehensible graphs, charts, or other figures. Displaying financial information in a visual medium also offers designers an opportunity to boost the platform’s UI by wrapping the data in an appealing aesthetic. 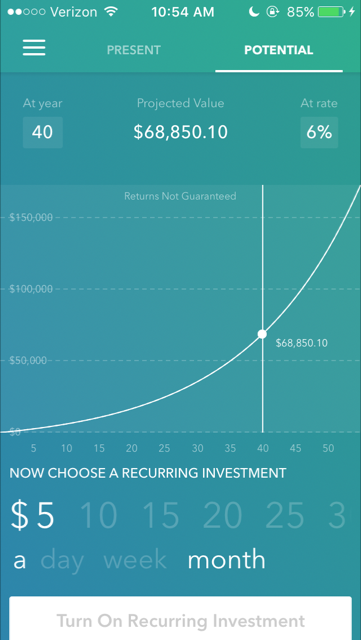 Acorns, a popular robo-advisor, delivers graphs like these in a gorgeous interface of blue-green gradients. The figures are interactive as well—users can change the amount of their recurring investments and see how their ROI is altered in the future. 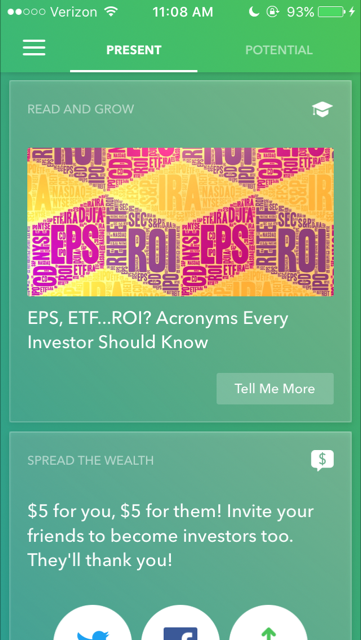 I’ve used Acorns to demonstrate this because they also include another excellent function, one that often goes forgotten in fintech platforms: a financial education feature. It’s not the quickest or most user-friendly method to make finance easy, but it can offer a rewarding, fulfilling experience for the users that choose to pursue it. While seemingly counterintuitive, the design of many fintech applications finds itself in the rare occurrence where employing poor UX design techniques is actually a good thing. Words like “seamless” and “hassle-free” get used to no end in the UX, but there are occasions where friction can benefit the user. The essential draw of fintech is that users can perform all their banking and money management easily, but it’s prudent to remember that that entails serious financial decisions. Major actions or permanent changes shouldn’t be so streamlined that they can be performed accidentally or carelessly. Multi-factor authentication, pop-ups confirming significant financial actions, and other roadblocks help mitigate user mistakes and prevent potentially irreversible errors. It impedes your users, but not their experience. In fact, users will appreciate the friction—it promotes a sense of safety and comfort knowing their financial information is secure. 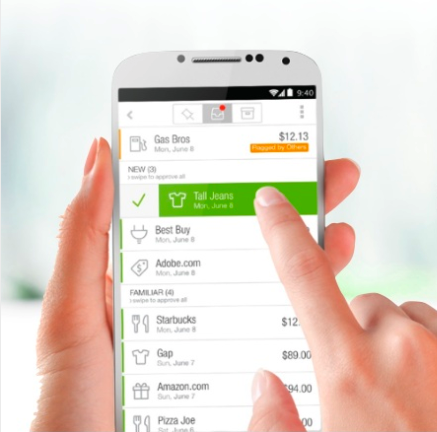 The transparency fosters a sense of trust between the application and the user as well. When we examine the most popular fintech apps in the marketplace, design patterns emerge that reveal what makes these platforms so successful. The commonalities these fintech services share form the guidelines described above. While these guidelines aren’t comprehensive, they’re a solid checklist to follow, whether you’re creating a fintech platform yourself or hiring a UX design agency. Regardless, understanding fintech means understanding an industry undergoing a digital platform revolution—and that’s priceless knowledge for UX designers of any kind.